Lo último de HP combina un espectacular diseño en aluminio con una dotación tecnológica impresionante y se posiciona como una de las mejores opciones dentro de la gama media de portátiles. 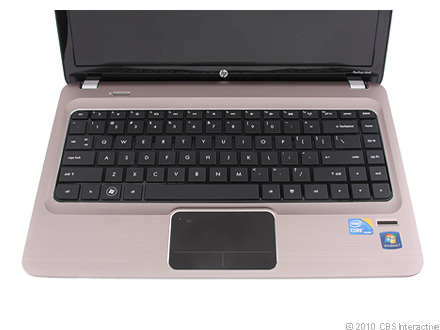 Analizamos el HP Pavilion dm4. Nice design, excellent battery life, and a surprising dose of power, all for a reasonable price. The HP Pavilion dm4 is a pretty good looking, well constructed and reasonably well performing. There are only one or two very small things we'd change about the dm4: one being the touchpad position; and the second being the somewhat hopeful notion of adding switchable graphics. Such ideas aside, it's an absolute corker of a laptop considering its accessible price. One thing we're less certain about, however, is the touchpad. HP appears to have adopted the 'almost' Apple-esque integrated touchpad buttons first seen on the Envy 15, which were far from a resounding success. Hopefully it has ironed out the issues now: we'll see. Moreover, if HP is to go down this route we'd have preferred to see it add the much more impressive four point multi-touch, single click touchpad that Synaptics recently introduced. It continues to be a real shame that the one real issue we have with HP's laptops continues to be something we consider to be fairly standard and simple technology these days. Honestly, we don't need anything fancy when it comes to a touchpad -- just a large pad and two comfortable buttons. Other than its flaky navigation input, the $904 system – though it's a bit overpriced compared to the competition -- packs just the right balance of style, power and endurance. We much prefer the dm4's aesthetic to comparable systems like Dell's Inspiron 15 and Gateway's offerings. But of course, at the end of the day what good is all that if you can't push the cursor from one side of the screen without a problem? 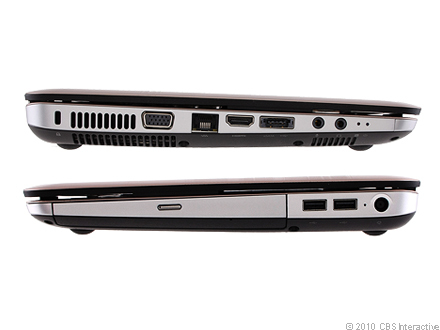 The middle-of-the-road multimedia laptops that come out of HP have always been excellent examples of the style. They typically bring some upscale design buzz--but not too much in the way of extra features or components--while keeping prices down. HP's latest multimedia system, the Pavilion dm4, is a powerful, slick-looking package--but some competitors in the same price range offer more features for less. Like the rest of the industry, HP has taken a huge liking to metals. So much so, that its entire line of laptops (netbooks not included) has been updated with this design material. The HP Pavilion dm4 ($905 direct) is not only covered in them, but it's one of the lightest laptops in the 14-inch category, and yet it toppled the competition in speed tests. Its major flaw is the gesture-enabled touchpad, which proved to be more bothersome than helpful. HP got most things right with the Pavilion dm4. It has a sophisticated design, strong performance, and good battery life. However, this notebook’s finicky touchpad makes it less of a pleasure to use than we had hoped. For now, we say try it out at a store first, if possible. You should also check out the $899 Toshiba Satellite E205, which performs almost as well and comes with Intel’s Wireless Display technology and the 14-inch Lenovo IdeaPad Y460 ($1,094), adds muscle with discrete graphics. Overall, though, the dm4 is a solid choice. If and when HP issues a driver update, we’ll likely give the dm4 a more enthusiastic recommendation. 80.17%: Esta evaluación es para ser considerada como promedio, porque la cantidad de portátiles con mejores evaluaciones es casi la misma que la cantidad con evaluaciones peores.